Everyone’s favorite Astromech droid, R2-D2, is back again, although this time around, he will not come with some sort of useful feature to help around the house. Basically, the $3.49 R2-D2 Rebel Raspberry Sours is nothing but an ordinary container for some sour candy, and in order to make sure that we are reminded that life is not all about sweetness, but there are times when our experiences might be sour. 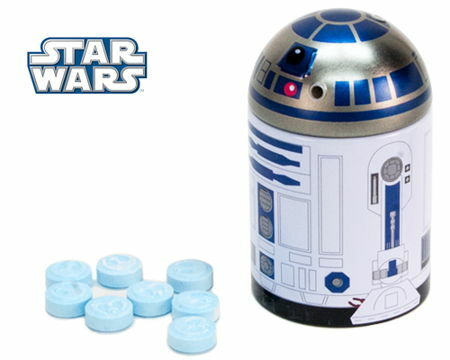 Each of the R2-D2 Rebel Raspberry Sours will come with 1.2 ounces of Rebel Alliance insignia shaped candies, and when you are done consuming all of the candy there, there is always the option to make use of the tin R2-D2 container to stash additional candy, or perhaps to toss in some loose change?